Phantom limb syndrome is the feeling of sensations in a limb that has been removed. There may be feelings in the limb as if it were still attached to their body. 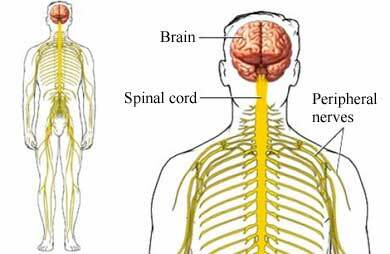 This is because the brain continues to get messages from nerves that used to "feel" for the missing limb. The exact cause of phantom limb syndrome is unknown. It is thought that the sensations are due to the brain’s attempt to reorganize signals. The brain must rewire itself to adjust to the changes in the body. It is important to tell your care team if you have pain or other sensation after limb loss. Earlier treatment may improves the chances of success. There is no medical test to diagnose phantom pain. You will be asked about your past health. A physical exam will be done. The doctor will want to know about the signs and symptoms. You may be asked about the amputation. Diagnosis can be made based on your symptoms. The following have not shown consistent benefits. However, they may help with some symptoms. Research is ongoing to better understand phantom limb syndrome. There are no clear answers for prevention right now. Chahine L, Kanazi G, et al. Phantom limb syndrome: A review. Middle East J Anesthesiol. 2007;19(2):345-355. Richardson C, Kulkarni J. A review of the management of phantom limb pain: challenges and solutions. J Pain Res. 2017;10:1861-1870. Weeks SR, Anderson-Barnes VC, et al. Phantom limb pain: Theories and therapies. 2010;16(5):277-286.